Alex Iwobi has revealed Arsenal manager, Unai Emery, has brought in a performance analyst in a bid to improve his erratic end product. The Super Eagles star has featured prominently this season with Emery a fan of his ball-carrying ability and running power. However, Iwobi has scored two goals this season and provided two assists this season and his decision making continues to be criticised. “This season I feel much better and I feel like I’m in control, especially going forward in an attacking sense. “I have an analyst now who is always trying to help me, which I didn’t have in seasons before, so he’s sending me clips and saying what I can do better. “That’s helped me and I’d like to say I’ve been involved in a few goals this season, even it’s not the assist or the goal, I’ve been getting a few pre-assists which go unnoticed. But at the end of the day as long as the team does well, that’s my main concern. “I would say each day I’m still growing and still learning, but negatives, obviously they’re always going to criticise me for my goals and assists, which I need to add to my game if I want to be compared with the people I’m playing with. “The main thing is just to remain calm. We’ve even been doing some mental work to remain calm under pressure and calm when I’m on the pitch, and this is something I’ve been working on, not just in football but also off the pitch as well. “Now I’ve done it I look back and it wasn’t easy, especially with the things I had to go through, so I can always say it’s going to be hard, but the rewards are definitely worth it. “What’s next? Life is like a movie, you have to stay tuned. I can’t really predict what’s going to happen. We will have to wait and see. All I know is that playing for Arsenal to me is always going to be an honour. 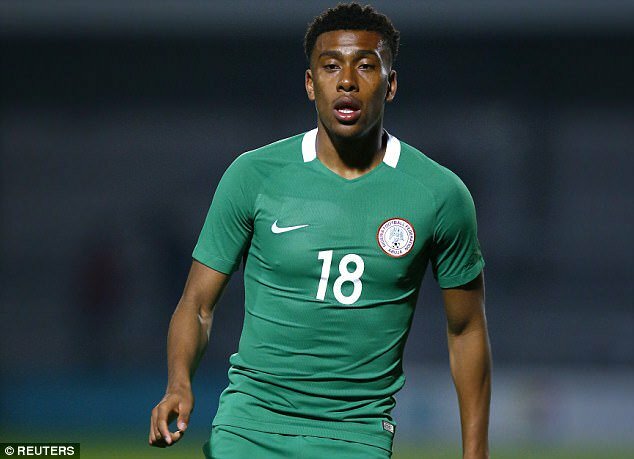 I’m always proud to represent this club and wear the badge,” Iwobi told Arsenal Player.